After successfully opening & managing Spas in Northern & Southern Ontario for over 18 years Monique Lacasse decided that helping others was truly her passion. Her experience in customer service allowed her the ability to thrive in the Corporate industry & her efforts were recognized by achieving a Business Excellence Award for her previous SPA known to many as "All About Massage". Monique has been given a precious and strong gift that is like no other. The gift of making others feel positively wonderful! Monique’s experience and knowledge in business has led her to where she is right now. Having learned that everything absolutely everything; happens as we draw it into ourselves. This Journey has now brought her to the opening of "SERENDIPITY DAY SPA ON DURHAM" offering a full day spa experience to all past and new clients. The spa focuses on the ability to offer quality service of most treatments on two individuals at one time. Her passion is to help people reach their true potential by showing them how to be infinitely excellent in whatever they put their minds to. In the pursuit to assist clients with their needs Monique has attracted a team of amazing professionals and also recently added other services to Serendipity Day Spa on Durham including the New Venus Freeze which performs non-surgical body contouring, cellulite reduction, skin tightening, and wrinkle reduction for the face, neck and body! Gold Standard Laser Hair Removal, Eyelash Extensions, Painful Addictions tattooing by Cory Reist and a few more additions coming soon. Ultimately We are Who We perceive to Be!!! "Our company is based on the belief that our customers' needs are of the utmost importance. Our entire team is committed to meeting those needs. As a result, a high percentage of our business is from repeat customers and referrals. We welcome the opportunity to earn your trust and deliver you the best service in the industry." Having grown up in a spa environment ever since I was little, I am no stranger to the quality of service and positive atmosphere that is needed in this line of work. Having had hundreds of manicures, pedicures, facials and every other service offered at my mom's past locations, I gained a knowledge and respect for what these people did and how meticulous they were with their work. After graduating from high school I decided to put my Marine Biology dreams on hold and try something else that I loved. ​After completing my schooling at the "Britain Institute of Esthetics" and after countless hours of painting and ripping out flooring of every kind..... I am happy to say that I now work as the Business Administrator, at Serendipity Day Spa on Durham. ​Marika is a Registered Massage Therapist, who graduated from Sir Sandford Fleming College in 2015 with an Advanced Diploma in Massage Therapy. She is also a member of the College of Massage Therapists of Ontario. ​Marika is enthusiastic about providing the best possible treatment for her clients. She will help you de-stress with aromatherapy, hot stone and relaxation techniques. Marika will also help you manage your pain and get back your range of motion with stretching and remedial exercises. Josh is a Registered Massage Therapist who graduated from Everest College here in Sudbury. Josh is always looking to expand on his knowledge and skills towards his practise and has taken Thai Massage, Sports Massage, & Cupping Techniques. ​Amber is one of our best creative nail technicians with over 7 years of experience in the industry. In addition to specializing in natural manicures and pedicures, Amber is great at waxing, eyelash extensions, tinting, and with the up and coming new service lash curling. She is sure to give you the look that suits you best. Amber is extremely passionate about the services she provides and does her best to educate her clients. She is always learning the newest and best techniques in order to give her clients the greatest experience possible. She encourages her clients to try new services and to utilize everything the spa has to offer. Her honesty and reliability allows her to build trusting relationships with her clients. Amber will make sure you leave a happy customer! ​For the past 20 years, Jacqueline has been educating herself in Alternative practices to help bring peace and relaxation to herself and others. In 1999, Jacqueline successfully completed her Counsellor course focusing on Human Relations and Stress Management. Having a passion for finding peace and maintaining a relaxing lifestyle, she then focused her energies on learning Reiki. In 2010, she achieved her Reiki Level 1 & 2 and focused on the fundamentals of Reiki before receiving her Reiki Master/Teacher certificate. In 2017, Jacqueline expanded her Reiki practice and became a Crystal Reiki Master. Jacqueline’s love for Dogs helped her to also attain her Animal Reiki Practitioner certificate. She has been referred to as the Dog Whisperer. Jacqueline offers Reiki, Crystal Reiki, Animal Reiki, Reiki for Anxiety and Depression, and Reiki & Color Therapy. Jacqueline also provides workshops in Creative Visualization. While on her 20-year journey with energy healing, her intuition exploded! Intuitive and Tarot readings became an added feature to her practice. She has opened her mind, body and soul to receive the gift of intuition to be able to help others along their own paths. Jacqueline’s belief is focusing on the positive. Regardless of how a person feels before they arrive for one of Jacqueline’s readings, they leave with a positive perspective in helping them to deal with whatever challenges they may have in their own life. They leave with the Gift of Comfort. Jacqueline’s passion for helping others is what makes her Reiki and/or Reading sessions one of pure relaxation and positivity. She looks forward to helping you along your own journey in finding a form of peace in your life. Jacqueline is also an Author; she has written the book series, In My Closet. The “In My Closet” book series is a fictional series starting with the first book, “In My Closet”, the second book, “Lost Soul Obsession”, as well, the third book to this series will be released in November 2018. Jacqueline’s drive for Peace in our World has also inspired her to write the book, “The Good Vibes Only Roadshow”, which is a motivational book which will help others to find their own true passions in life using creative visualization. This book is due out in November 2018. 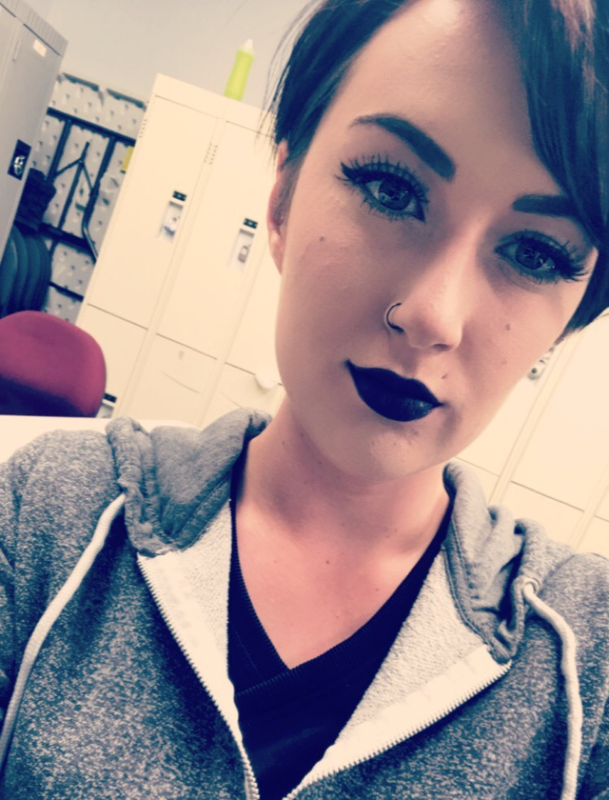 Kalene graduated from Modern College of Hairstyling and Esthetics and loves what she does. She wants her clients to have the best experience possible during their time with her whether it is spent doing waxing, manicures, pedicures, facials, eyelash extensions or relaxation massages. The most enjoyable part of her work is meeting and connecting with new people and building relationships with her clients.